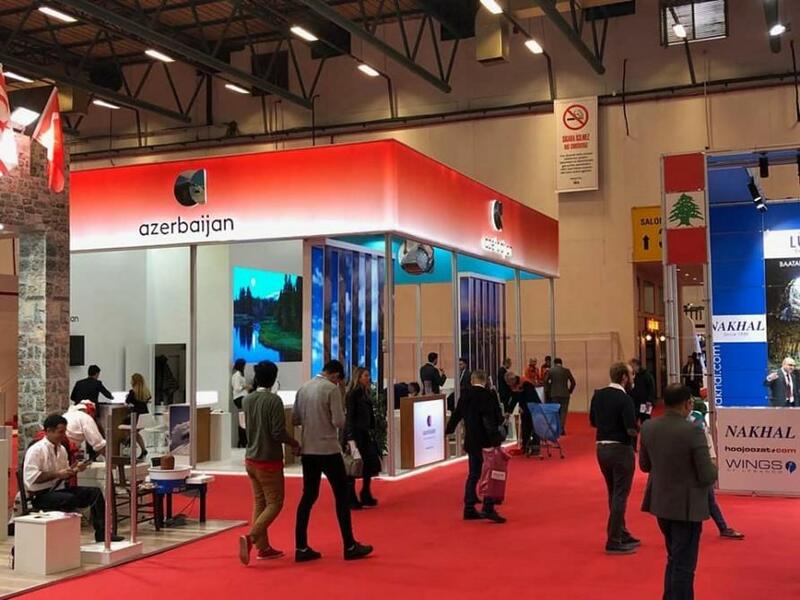 Azerbaijani delegation, with the organizational support of the State Agency for Tourism and the Azerbaijan Tourism Bureau, takes part in the Eastern Mediterranean international exhibition of travel and tourism "EMİTT 2019". 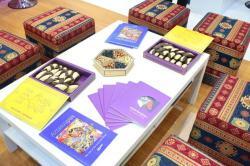 The exhibition held in Istanbul will last until February 3. The Azerbaijani delegation, along with Azerbaijan Hava Yollari CJSC, Heydar Aliyev International Airport, also includes representatives of various travel companies and hotels. 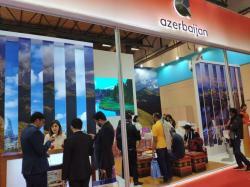 In the pavilion with an area of 70 square meters, photos and videos showing the tourist potential of Azerbaijan are presented, and brochures are distributed. 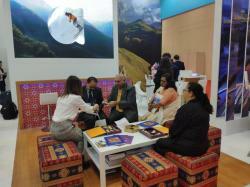 During the exhibition, bilateral business meetings with representatives of various countries are held. The Minister of Culture and Tourism of Turkey, Mehmet Nuri Ersoy, visited the pavilion of Azerbaijan during the exhibition. 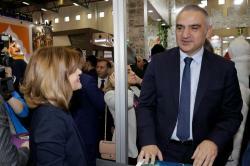 The head of the Department of International Markets of the Azerbaijan Tourism Bureau, Sevinj Zeynalli, informed the minister about current tourist relations between the two countries. In turn, Mehmet Nuri Ersoy stressed the importance of expanding tourist ties between Turkey and Azerbaijan and wished everyone success. The EMİTT exhibition, which has been held since 1997, is considered one of the five largest tourist exhibitions in the world. 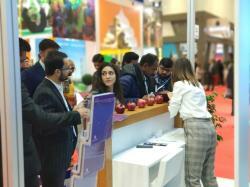 Over 54,000 guests, 1065 travel companies from 85 countries attended the exhibition in 2018. Emil Safronov, Marketing Director, Republic of Azerbaijan Ministry of Culture and Tourism said that EMITT is a very important promotional platform for Azerbaijan’s tourism sector; it contributes greatly to our sales and marketing activities. 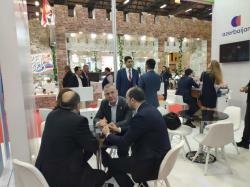 He declared that Azerbaijan participates in this exhibition since 2003 and in terms of interest from national and international companies, the exhibition keeps on developing. 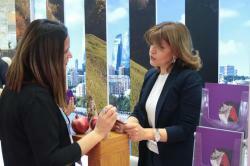 Among exhibitors of 2018 were such countries as Albania, Azerbaijan, Bahrein, Bangladesh, Belarus, Bosnia and Herzegovina, Bulgaria, China, Cuba, Cyprus, France, Georgia, Germany, Greece, Guinea, India, Iran, Italy, Japan, Jordan, Kosovo, Kyrgyzstan, Latvia, Lebanon, Macedonia, Maldives, Mongolia, Morocco, Nepal, North Cyprus, Palestine, Philippines, Russia, Serbia, Seychelles, South Africa, South Korea, Spain, Taipei, Tunisia, United States., Ukraine, United Arab Emirates, United Kingdom, Uzbekistan, Vietnam, Zanzibar.